Your breaks could be squeaking for a number of reasons, however, the main reasons are an easy fix. Brake pads and discs experience the most wear and tear in the car than any other part, this can be identified by squeaking or squealing noises when you apply the brakes. Most modern brake pads come with small wear indicators, which you may not even notice, the wear indicator is usually a piece of metal at the side of the brake pads. Once the brake pads have been worn down eventually the wear indicator will start to rub off the brake disc to let you know that the pad is now worn and you need to change. Some newer brakes also have a wire and when the brake pad wears down to the wire you will get a dashboard warning light to advise you to have your brake pads changed. How to fix brake squeaking? 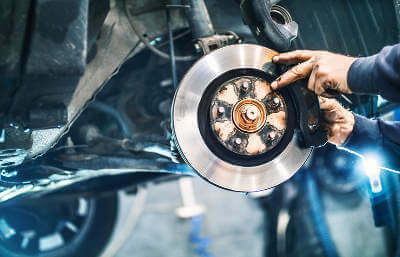 The best way to fix brake squeaking is to bring the car to an approved garage, before doing this you can get quotes online from garages in your area for your brake repairs. No more calling into garages and second-guessing how much your brake repair will cost, just simply type in your reg number and select brakes, we will ask you a few details and then in minutes you can get brake repair prices for your car. Don’t wait around, get quotes today with MyCarNeedsA.com.